The Original Rofvape Warlock Peas Vape Pen is the newest Starter Kit released by Rofvape. It is light and small, and can be easily vaped at anytime and anywhere. With air flow switch it will start vaporizing as long as you vape. 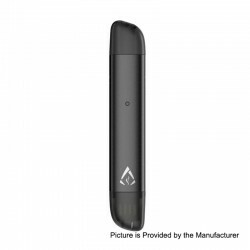 The Rofvape Warlock Peas Vape Pen comes with 1.5ml pod cartridge which has a 1.8ohm coil. This item also has other color to choose.